If you are searching for the best scuba diving tours and locations, you have come to the right place. Although there are many scuba diving locations in the world, all of them are not top-notch. Your research and real customer reviews are important when finding the best scuba diving tours and locations in the world. In fact, once you find the best locations for scuba diving, it is much easier to find the right tour operator in the area. You can search Google for some of the best tour operators in the location that you choose. Make sure that you do the necessary research and pick the right operator when planning your next diving vacation. 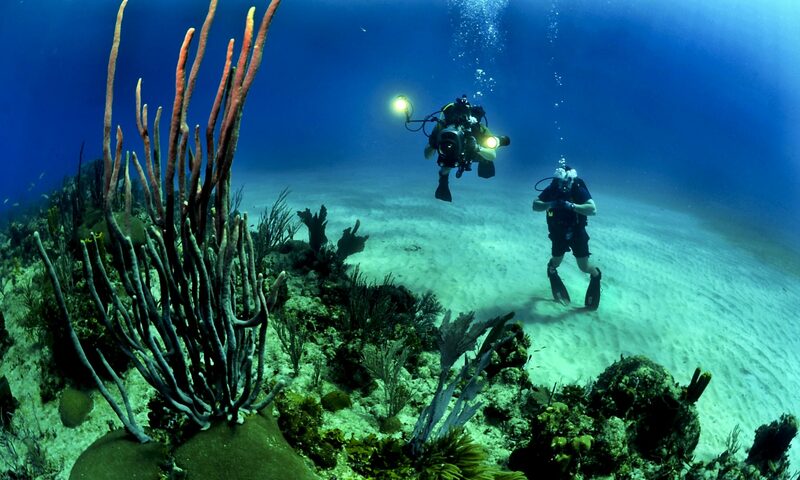 Here are some of the best scuba diving tours and locations in the world. You are bound to see a lot of big stuff here. In fact, sharks will come cruising to surround you once you decide to take the trip. On the other hand, you will find the occasional current that blasts over an underwater prairie. This prairie is home to bumphead parrotfish, white tips, grouper, turtles, barracuda, and jacks. You will find a host of tour operators that you can choose from when planning to dive. Make sure that you do the necessary research before choosing the right one for the job. This is a shipwreck off the coast of Queensland. The place is full of sea life such as octopuses, sea snakes, tiger sharks, manta rays, bull sharks, turtles, and spectacular corals. The ship sank during a cyclone in 1911 – killing more than 122 people. The ship didn’t have telegraph facilities – hence, it couldn’t be warned of the bad weather ahead. 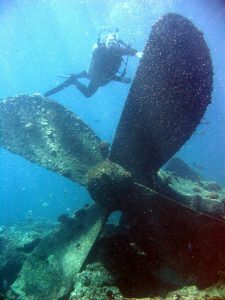 The ship was given official protection in 1981 under Australia’s Historic Shipwrecks Act. The ship is 109 meters long and is located 90 km southeast of Townsville. You can expect to see barracuda, Napoleon wrasse, eagle rays, sharks, jacks, snappers, and a host of other sea life in the area. On the other hand, the wall hosts thick corals with morays, mantis shrimps, and nudibranchs. You should do a comparison shopping to find the best tour operator in the area before booking the Palau trip. That way you will be able to save a lot of time and money in the process. 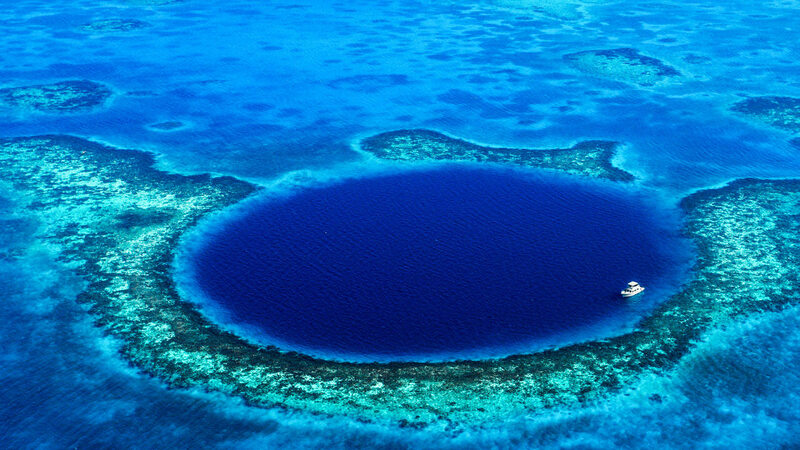 This is a very deep and wide hole that is outlined by coral reefs and surrounded by sharks. You will come across a thirty-meter visibility that comes from the warm reef of vibrant colors. You will enter the transition from salt to fresh water at around 15 m depth. In fact, you should descend another 25 m to explore the stalagmites and stalactites of ancient caverns. Make sure you compare prices when choosing the right tour operator for the trip. Oahu offers diving in the Pacifics pristine waters of Hawaii. There many fantastic dive sites throughout the Hawaiian islands, but Ohau has some of our favorites. The Seatiger was a 168′ freighter that was purposely sunk in 1999. It is host to small Reef fish to Turtles, Sharks to Dolphins, MahiMahi and Ono, Ahi and it’s in season you might see Whales. There are many great reefs and one of our favorites is Horse Shoe Reef. The variety of sea life is amazing: Frogfish, Octopus, Nudis, Scorpionfish, Moray Eels. 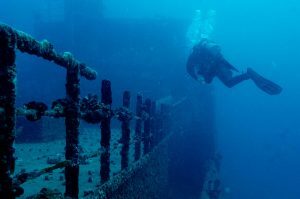 There are plenty of great scuba diving tours on Oahu to help you find the best possible dive sites. Kauai also offers pristine diving in the Pacific Ocean. Water temps range from 72 to 80 degrees in the summer with great visibility. Some of the main dive sites are Sheraton Caves, Black Mountain, Brenneckes Ledge, Amber’s Arches. For the more experienced divers seeking a consider hiring a scuba diving Co. on Kauai to take you to Ni’ihau. Definitely give Hawaii a consideration for your next dive! The aforementioned article provides information on some of the best scuba diving tours and locations in the world.